The organisation was a major engineering firm in Exeter and they produce turbines for the industrial, gas and aerospace industries. They employ 550 workers, and these form a mixture of highly skilled to low skilled workers doing shift work. The company does provide some health and wellness initiatives as part of a benefit programme offered to their employees. The company wanted to pilot providing a nutrition training session to a small cohort of their employees with the aim of raising their awareness and improving their diet, health and lifestyle. 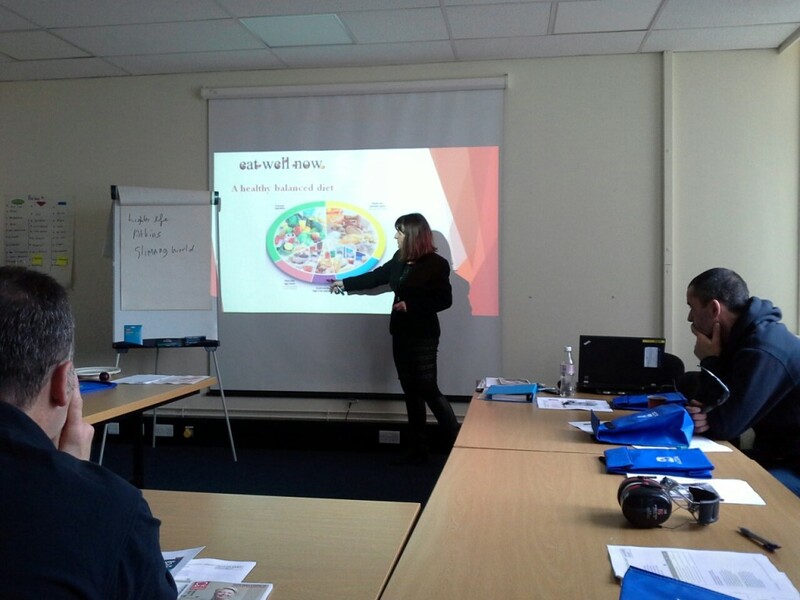 Debra provided interactive workplace nutrition workshop for two groups of employees over a lunchtime period. In addition to this she performed anthropometric measurements to staff which included height, weight, BMI and percentage body fat. Staff were given the opportunity to ask questions and provided with a range of resources to take away. They were also given the opportunity to book a one to one nutrition consultation with Debra at a later date. The Workshop included the following topics – facts not fads, what is a healthy balanced diet, portion sizes/meal plans, tips on increasing exercise, setting goals/rewards, diet and fitness apps, benefits of 5-10% weight loss, recommended healthy eating plans, top ten tips with the opportunity for questions, an evaluation sheet at the end of the session. An employee feedback satisfaction survey on all employees by asking the HR manager to send this out with their payslips – the questionnaire included both quantitative and qualitative questions. A summary of the results of this was provided to the HR manager.